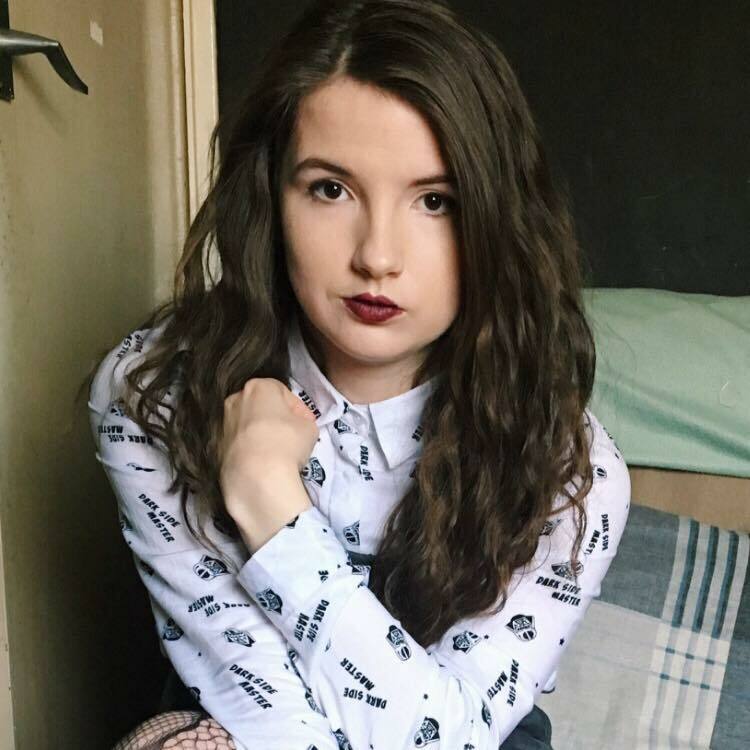 We booked our flights through skyscanner and they cost us £203.18, we booked our flights just under two months before the holiday though, so you may get cheaper flights if you look at the right time. The flight itself is just under 2 hours so not too long at all, meaning that providing there’s no turbulence, it’s quite an easy-going flight. From the airport as well, we got a shuttle to where we were staying in Bled, this was the easiest way to get there without having to wait for a bus and cost us €9 each so just under €40 in total. We stayed in a little apartment we found on booking.com that was only about a 10 minute walk from the lake itself, making it a brilliant location in the town. I forgot to take photos of the apartment because I am a terrible blogger, but it was roughly €230 each for the week so cost just under €750 in total but split between 3 was fairly reasonable. Also, when accounting how lovely our host Nik was and that we spent less on food and drink, it all evens out in a way to potentially cost less than a hotel would. Bled is known for its natural beauty, situated in the Julian alps and being home to lake Bled. Places to visit though include the castle with breath-taking views of the surrounding areas and a museum that houses the story behind the town. Tickets cost €11 for adults and a reduced price for students if you show your student card which I stupidly forgot. The walls and small outdoor cafe near the entrance also provide a beautiful backdrop for any insta shot. Swimming, of course is an obvious activity since it is permitted in the lake. Technically you can swim for free in certain parts since everyone does it, even if you aren’t supposed to swim outside of the lido area. The lido is the best area for swimming though, which is good considering you pay €8 for the entire day instead of it being free. You can exit and re-enter with your ticket though so you don’t necessarily have to stay where you are the whole time. With added perks of a slide and a safer place to swim, as well as more shade, the lido is worth the price they charge. Five kilometres from Bled is the Triglav national park, shown in all the brochures as an azure waterfall and ravine, otherwise known as the vitgar gorge. There is a shuttle bus from Bled that takes you to the gorge for only €1, but as we weren’t too sure where to get it from we opted to go for the 5k walk since google maps said it only took an hour… The gorge itself is a long trail perfect for nature-based photography and potentially photoshoots in the spots where the rocks are easier to clamber down. Flat practical shoes are the only kind I would recommend, especially if like us you think walking there is a good idea. Entry to the gorge costs €5 per person but is really worth it for the almost 2km it spans. 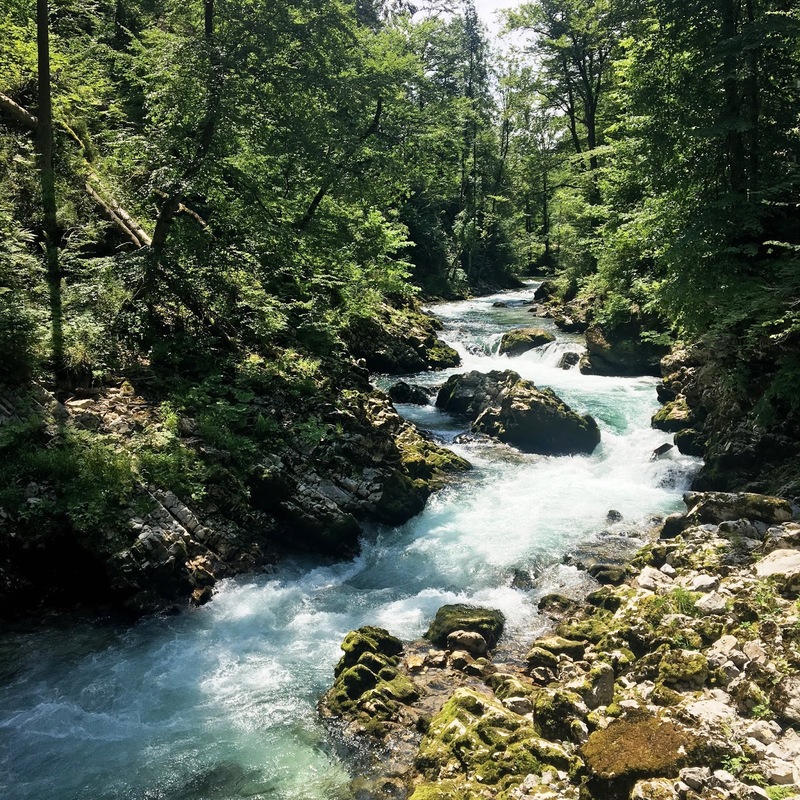 We went out to dinner once on the trip in Bled and once on the final day when we were in Ljubliana since we had so long after we got to the city before we had to leave to catch our evening flight. In Bled we got drinks at the Devil bar, both in the evening of the first night we arrived and when they were playing the England quarter final. Drinks were fairly reasonable with beer starting around €3 and most cocktails priced at €7, with a beautiful view of the lake as well there isn’t much more to ask for especially if there are tables available outside. Once again, my bad blogging tendencies are showing since I cannot remember the name of the one restaurant we ate at, but I do know my meal cost me roughly €25. For all other meals we tended to go to the Mercator supermarket that was a 2 minute walk from our apartment which was a real money saver. In Ljubliana I tasted what I think is the best burger I’ve ever had, alongside drinking a Hugo which I think is now ranked as one of my favourite cocktails. Both were eaten and drank at the same location, Fany and Mary, costing around €11 altogether, although I actually had two Hugo’s and an ice coffee so my total spend here was closer to €20. 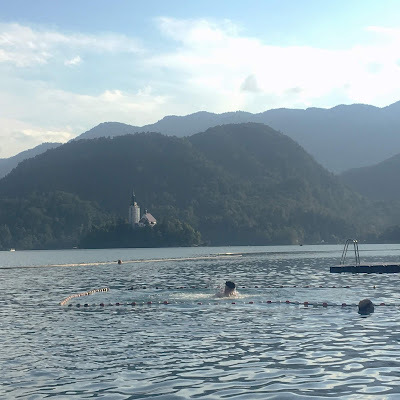 I would definitely recommend visiting Bled or just adding it to your list of travel destinations because it is such a nice relaxing getaway. With natural scenery and a quaint town, it really sets itself apart from your average city break and provides the most stunning backdrops to any photo. 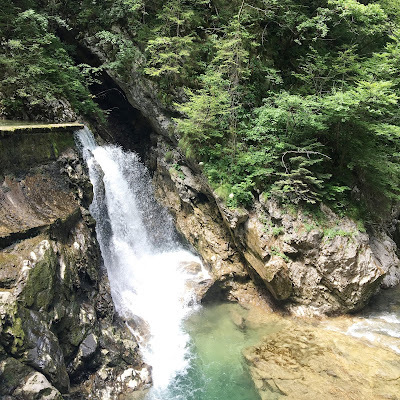 I hope the rough price guide gives you and idea of what you can get for your money, and although some of the activities I mentioned are summer specific, since Bled also doubles as a sort of ski-town I think it would be amazing in winter too! 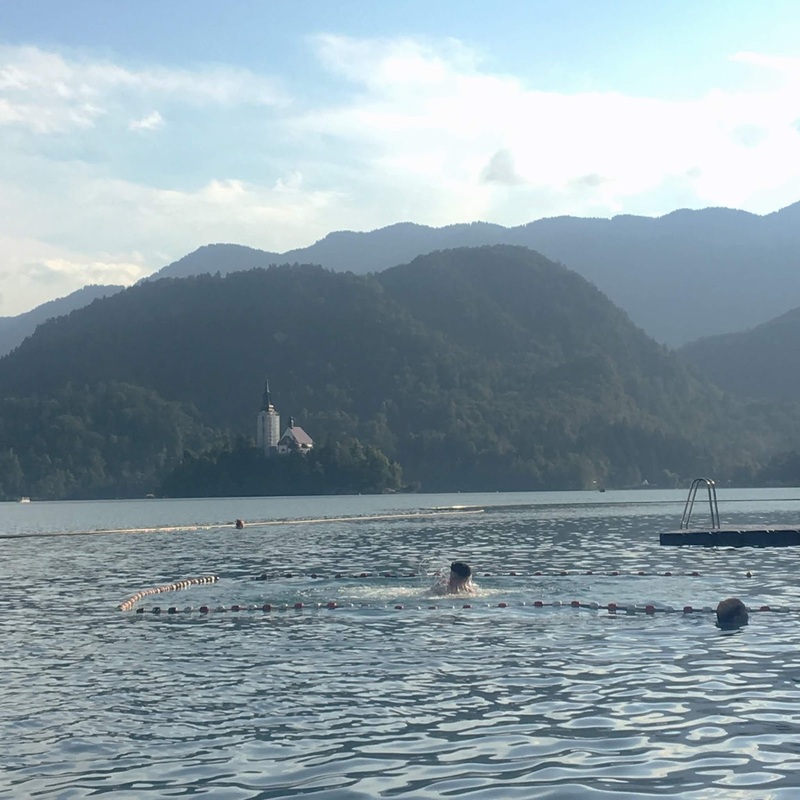 I’d love to know in the comments if any of you have been to Bled and if so what your trip was like, and about any places you’d recommend visiting since I’ve really got a case of wanderlust after this trip!